Offering free Wi-Fi and a TV with cable channels in every room, this Baxter Springs motel is less than 5 miles from Bicentennial State Park. A complimentary breakfast is served each morning. A microwave and a refrigerator are included in each room at Baxter Inn 4 Less. Every room also includes air-conditioning. 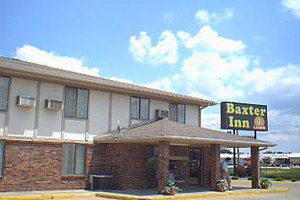 A 24-hour reception desk and free parking are offered to all guests of Inn Baxter Springs 4 Less. Vending machines with both snacks and drinks are featured on site. Downstream Casino Resort is 9 miles from this motel. Baxter Springs, Kansas city centre is 3 minutes’ drive away. 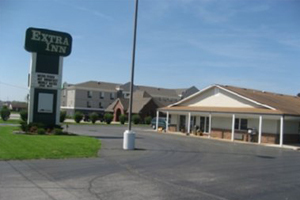 This motel in Columbus features rooms with a flat-screen satellite TV and a private entrance. Mined Land Wildlife Area offers top fishing, 18 minutes’ drive away. Free WiFi access is available. Each room here will provide you with a microwave and refrigerator at Budget Inn Columbus. A dining table in the dining area is also included for guests’ convenience. 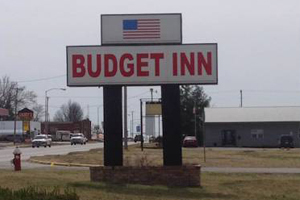 At the Columbus Budget Inn you will find a 24-hour front desk. The property offers free parking and a daily maid service. Baxter Springs Golf and Country Club is 20 minutes’ drive away. Strip Pits State Wildlife Area is 24 km from the motel. 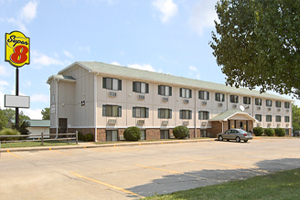 Located off Route 69, this Pittsburg, Kansas hotel is 9 minutes’ drive from Pittsburg State University. It features a computer in the lobby and traditional rooms with free Wi-Fi. A microwave, refrigerator, and tea- and coffee-making facilities are in every room at the Regency Inn and Suites Pittsburg. Wood furniture, a seating area and carpeted floors are provided. Cable TV is included. A daily breakfast is offered at the hotel. Belgian waffles, muffins and oatmeal are a few of the items available. Fax and photocopying services are available at Pittsburg Regency Inn. A Launderette is also on site. Four Oaks Golf Course is 2 miles from the hotel. Harry S. Truman’s birthplace is 26.3 miles away. 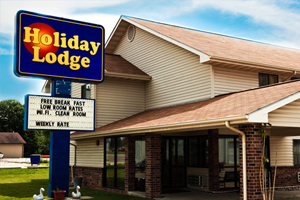 Located in southeast Kansas, this Pittsburg hotel is 1.5 miles from Lincoln Park and Kiddieland amusement park. It serves a continental breakfast and features free Wi-Fi access. A microwave, refrigerator and hairdryer are included in every room at Holiday Lodge. They also have cable TV and are furnished with a work desk. Pittsburg Memorial Auditorium is 3 miles from the hotel. Veterans Memorial Amphitheater is 10 minutes’ drive away. This Pittsburg, Kansa hotel is 1.7 miles from Atkinson Municipal Airport. The hotel offers a 24-hour front desk and guest rooms include free Wi-Fi and cable TV with the HBO channel. Each spacious room at the Super 8 Pittsburg KS is furnished with light wood furniture and a seating area. The rooms are air conditioned and include a work desk. A microwave and a refrigerator are provided in the suites. The hotel offers bus, truck and RV parking with electrical hookups. Guests can make free local telephone calls from the hotel. Pittsburg State University is 5.8 miles from the hotel. Pittsburg KS Super 8 is 2.2 miles from the Four Oaks Golf Course. 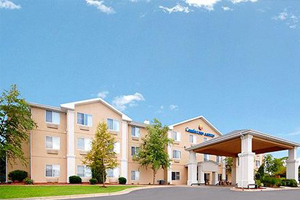 Comfort Inn & Suites hotel is located near Four Oaks Golf Course and Pittsburg State University. This Pittsburg, KS hotel is minutes from Fort Scott National Historic Site, the Big Brutus, the Museum of Crawford County and Bone Creek Reservoir. The Pittsburg Memorial Auditorium and Convention Center and Mined Land Wildlife Area are close to the hotel. Several shopping areas are minutes away. A variety of restaurants and cocktail lounges are located in the surrounding area. The city of Pittsburg offers many art and entertainment opportunities for visitors. Each year, the community gathers for special events such as the Fourth of July celebration and Little Balkans Days festival in September. Hotel amenities and features include free wireless high-speed Internet access in all rooms, free weekday newspaper, free local calls and free coffee. Free hot breakfast is also provided. Guests can enjoy relaxing in the indoor heated pool and hot tub. There is also an on-site exercise room. Business travelers can use the business center, access to copy and fax services, desks and voice mail. All guest rooms have hair dryers, coffee makers, irons, ironing boards and cable television with HBO. Some rooms come equipped with refrigerators, microwaves, whirlpool bathtubs and safes. Valet cleaning service and laundry facility are located on the property for added guest convenience. This is a non-smoking hotel.